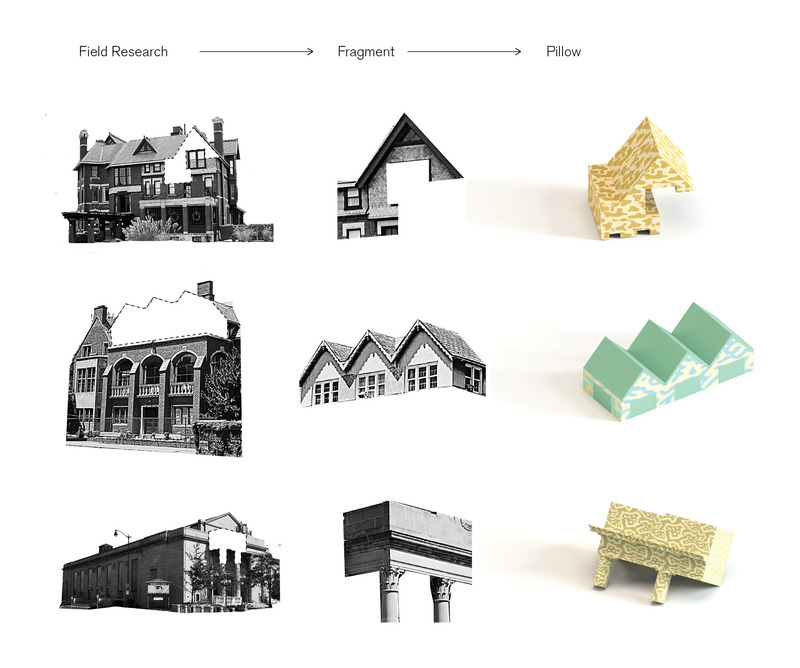 A suburban field on Chicago’s North Shore will host a fantastical summer pavilion fashioned after a toy box, with outsized pillows in the shape of architectural elements, according to designs selected as the winner of the third annual Ragdale Ring competition. Young Chicago designers Design With Company (Dw/Co) took their cues from the original Ragdale Ring garden theatre designed by architect Howard Van Doren Shaw in 1912. The Ragdale Foundation was founded in 1897 on the grounds of Arts and Crafts architect Shaw’s summer home in Lake Forest, Illinois, 30 miles north of Chicago. 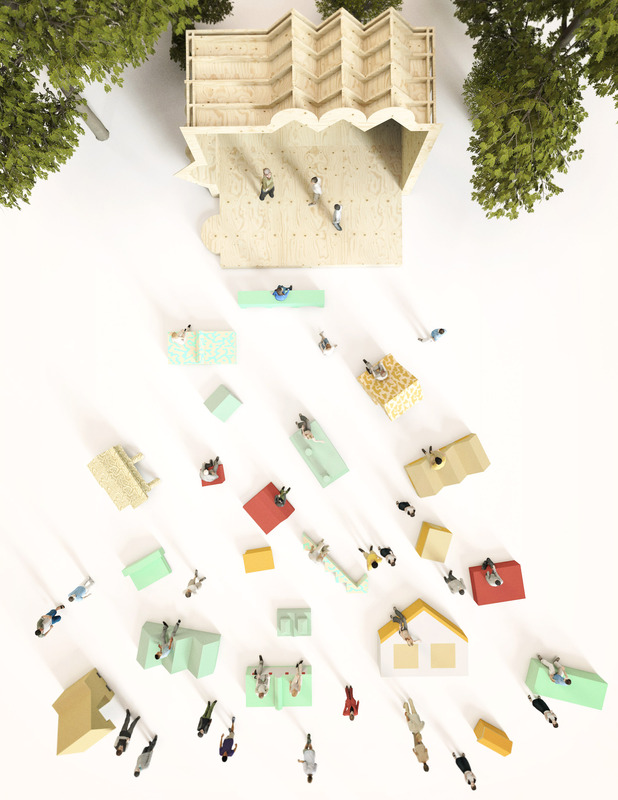 Architects Stewart Hicks and Allison Newmeyer dubbed their contemporary interpretation of the outdoor theater Shaw Town. Dw/Co plucked architectural details from some of Shaw’s early 20th century buildings in the Chicago area—such as the rooftops of Market Square in Lake Forest and the Quadrangle Club at the University of Chicago—and created “audience-friendly pillows” in their form, to be stored in a giant wooden toy box when not in use. Last year’s winner, New York–based Bittertang Farm, sculpted an earthen grotto from packs of hay. (See a gallery of photos from that installation here.) Like Bittertang’s ring, Shaw Town is also made from biodegradable materials. Shaw Town, whose construction will be funded by a $15,000 production grant, debuts June 13 at 1230 North Green Bay Road, Lake Forest, Illinois. More information can be found on Ragdale’s website, ragdale.org.